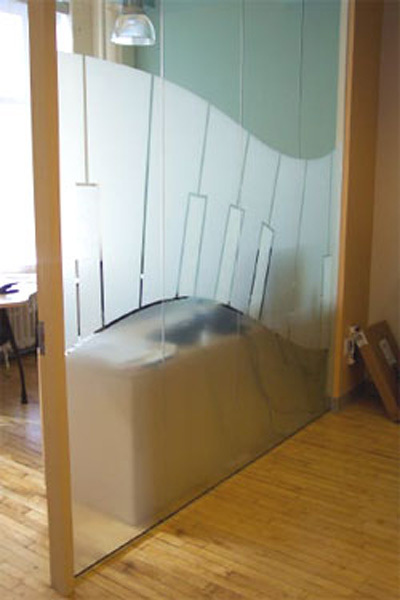 Vinyl window frostings are very popular due to its versatility. 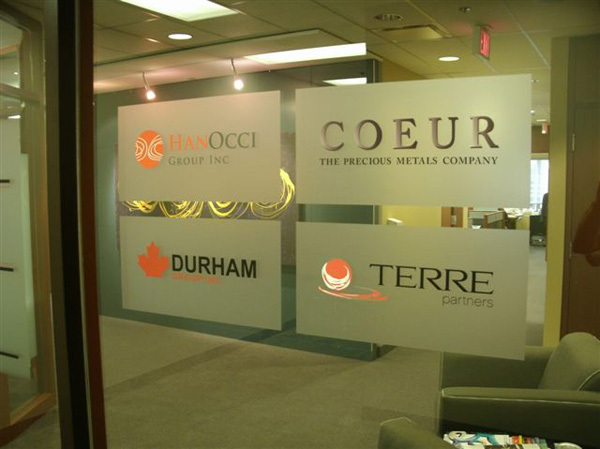 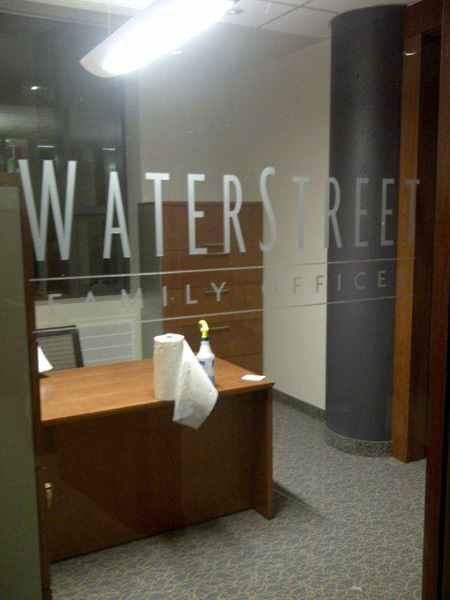 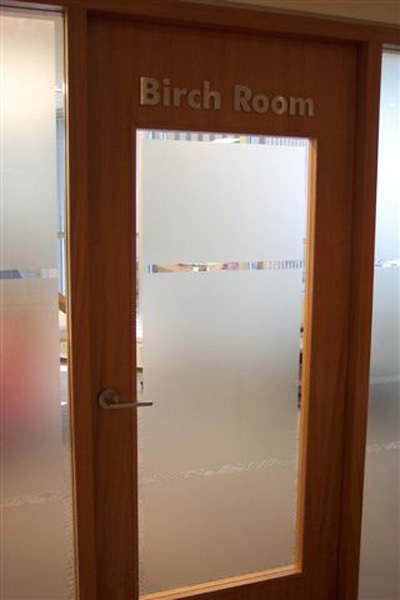 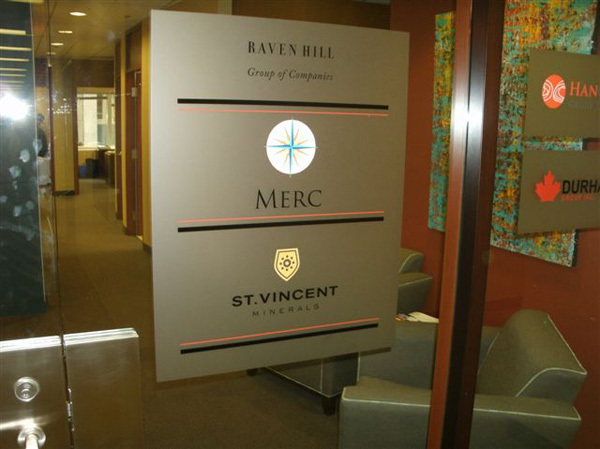 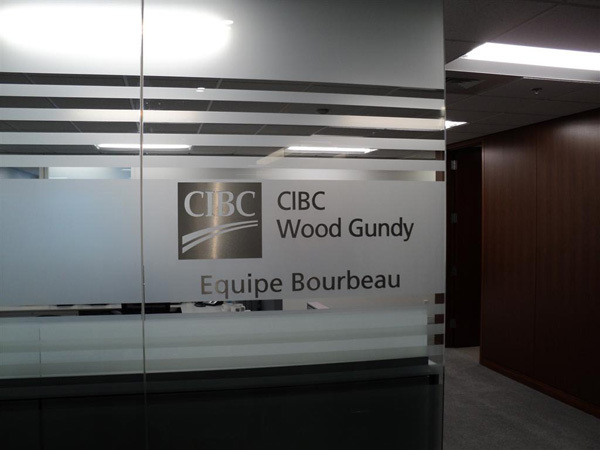 They can be applied to any glass surface to provide privacy or to identify a space subtly. 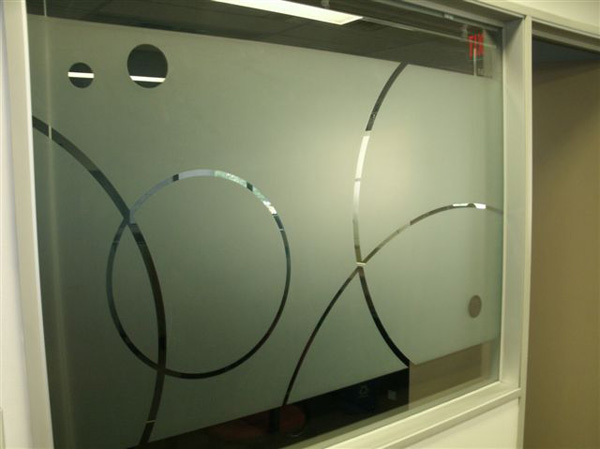 Applied to windows, the basic window frosting simulates sandblasted glass, although other textures and patterns are available also. 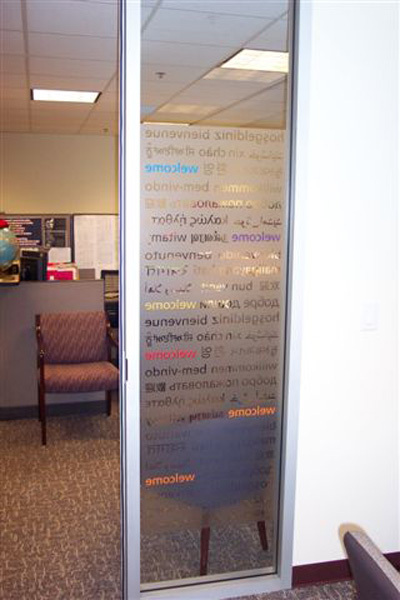 Since it is a vinyl product, they can be cut to almost any design the customer envisions - the possibilities are endless!